Latinos In Kid Lit had a great list and roundup of The 2014 International Latino Book Awards Finalists! InCultureParent Magazine offers up A Year of Multicultural Picture Books for the Global Child. Do you read poetry with your kids? April is National Poetry Month so it’s the perfect time to get started. A JIBA favorite, Erica at What Do We Do All Day has this wonderful post. 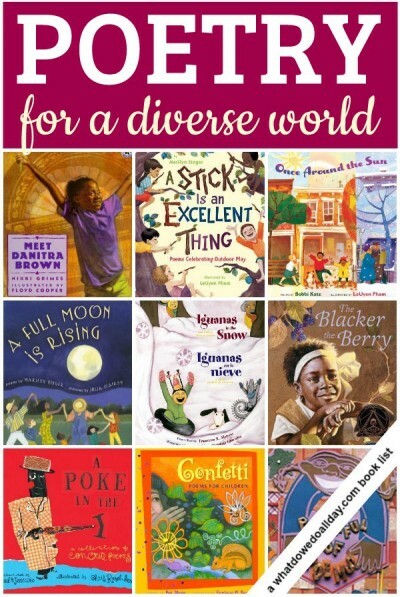 What great multicultural children’s books have you read this week? **Don’t forget about the very special Little Passports Birthday Sale too! Valarie, you have such a nice selection of books listed here 🙂 A few years back, I had the pleasure of meeting and talking with E.B. Lewis, the illustratrator of THE OTHER SIDE (listed here) and many other beautiful books. I have this book and another by him and love them both! THis is so helpful. Sharing! Previous Post Happy Birthday to Little Passports!